Thinking of buying an electric bike? 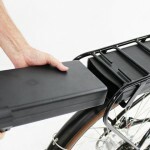 Great idea – but spend some time thinking about what type of electric motor you want for your electric bike. There are several different types of electric motors for electric bikes, and you want to make sure you get the one that best fits your needs. Learn all about the different kinds of motors for #ebikes here! Crank drive motors were the first advanced electric bike motors, and were developed in Japan in the early 1990s by Panasonic and Yamaha. As the name clearly indicates, they are situated in the crank (the crank set being the round thing that cleverly converts the energy from your legs into energy that moves the chain and therefore moves the bike). These motors drive additional power (over and above your own leg power) through the rear gear system. 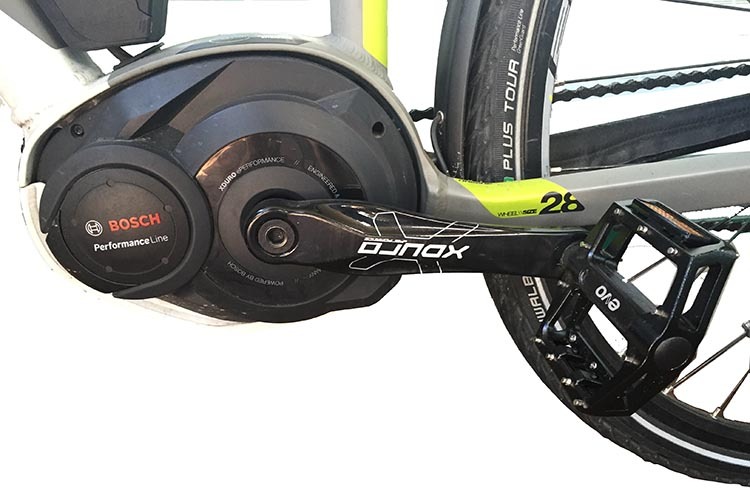 Personally I have experienced how amazingly effective this set up is with my crank drive Panasonic motor in a BH Emotion Race Bike. The motor is a modest 250 W, the bike only has seven gears, and the bike fully loaded with motor and battery weighs in at just 34 pounds. Yet I get up massive hills on this bike without breaking a sweat. And speed! I have to control myself not to go too fast at times, because I don’t want to endanger myself and others. Read the full review here. 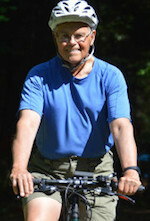 I found an even more impressive combination of gears and electric power in my Haibike Xduro Trekking Pro, which has 27 gears combined with a 350 W crankdrive motor, and gets me up incredibly long, steep hills. Read the full review of my Haibike Xduro Trekking Pro here. Crank drive motors can be adjusted to suit different environments, and are widely thought to be the best motors because they allow you to use the bike gears to get up hills, or to haul heavy loads. The general wisdom is that if you know you are going to have to climb very steep hills (more than 17%), you are better off with a crank drive motor. 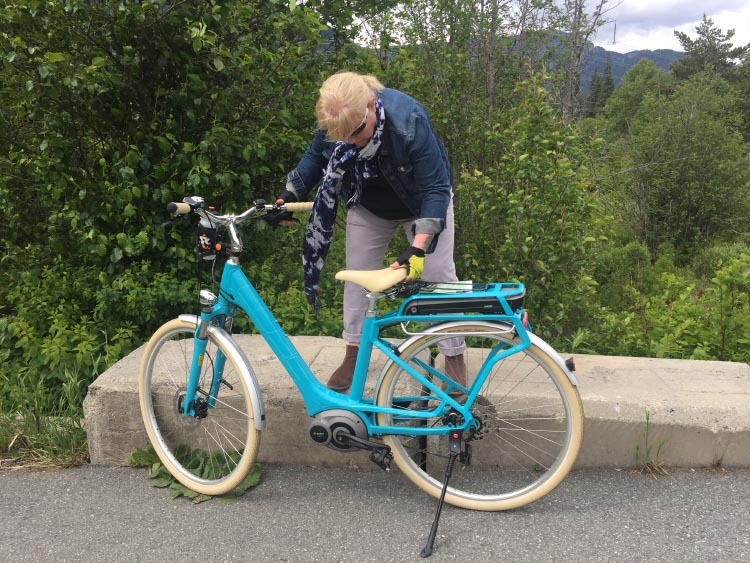 This has certainly been our experience with my wife’s new Cube Elly Ride 400 Hybrid ebike. The motor is just 250 W, but because it is a crank-drive motor, it works synergistically with the 10 Shimano Deore gears, so that she is able to get up the huge hills in our neighborhood. 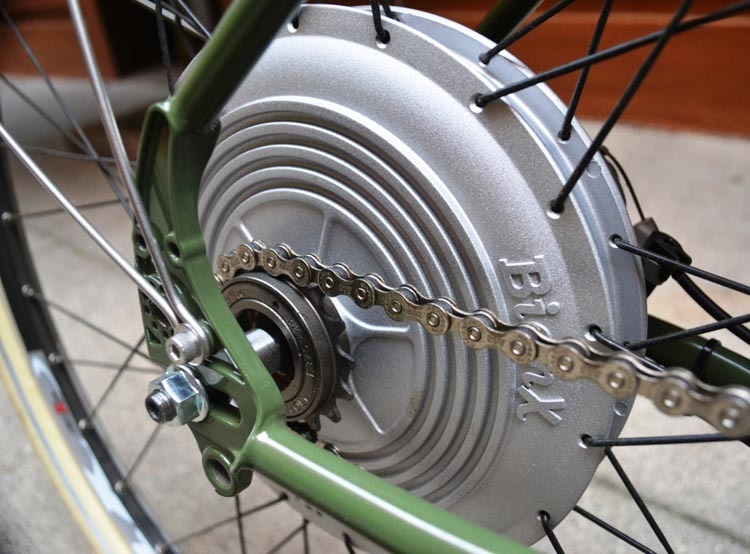 As the early crank drive motors were so expensive, hub motors were developed as a cheaper alternative. These motors, again as the name indicates, are mounted in the hub (the center part) of the wheel, usually the rear wheel. These are now the most common motors.They basically have only one gear, so although some of them are very powerful, they are not ideal for hilly areas. If you live in a flat city, these are just fine. That said, many of the large hub drive motors have amazing hill capacity. 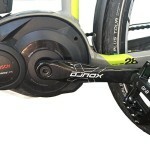 For example, the high torque BionX motors cope very well with hills: I can vouch for the fact that the latest BionX high-end, high-power systems take you up hills as if you truly are bionic. 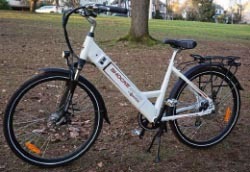 One of the greatest moments in my life (apart from my wedding to my extraordinary wife, and the birth of my children) was when I first rode an electric bike, which happened to be a BionX bike. 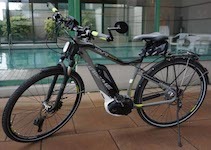 I reviewed BionX electric bike conversion kits here. Actually, BionX kits exert so much torque that I managed to break a bike frame. However, that is rare, and it must be admitted that it happened when I was still pretty chubby … huge hills, chubby guy, maximum torque … you do the math. Similarly, the 350 W BH Easy Motion Neo City (reviewed here) will take you up enormous hills too, even though the motor is in the hub. And this bike comes with 27 gears! 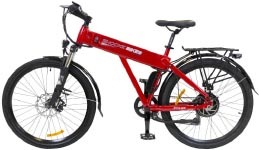 Motors for electric bikes may be brushed, or they may be brushless DC motors (BLDC motors).The industry default has become brushless motors, because generally they are quieter, smaller, and lighter, and they don’t need to be serviced. However, there are some knowledgeable people in the industry who support brushed motors, maintaining that they are more robust and reliable, that they are a relatively cheap way (in terms of cost and power) to gain hill-climbing ability, and that they are cheap and simple to service and don’t have to be serviced often (some only at intervals of 8,000 miles). Moreover, once they are serviced, they are as good as new. Finally, brushed motors are very robust, and offer hill climbing capacity at a lower price point. Since the introduction of Sensorless or Permanent Magnet BLDC (brushless DC) motors, the case in favor of brushed motors has been considerably weakened. This is because Sensorless BLDC motors have the same reliability as well made brushed motors – but without the noise and weight of brushed motors. 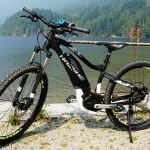 The average user does not have to think about the issue of brushed vs brushless motors, as most electric bikes are sold with brushless motors, due to the fact that they are more efficient at producing power, and therefore the battery lasts longer. This is a new innovation, and promises to make BLDC (brushless DC) motors more reliable. These motors do not require sensors as the position of the armature is detected using magnetic field detection.This reduces the notoriously large amount of electronics required on the motor, resulting in higher reliability. Again, this is an issue that the average user does not have to think about. If sensorless BLDC motors live up to their early promise, they will simply become the industry norm, and will be the default engine on whatever bike you are considering. These are simple, light motors, that basically work by spinning a roller that is pressed against the bicycle’s tire. There is a limit to how much power can be put through a friction drive, because the acceleration is dependent on the roller maintaining solid contact with a small patch of the tire. These engines have their proponents, but they are very much in the minority. I would say that friction motors are better suited to techie people who like to assemble engines themselves, using parts from model airplanes. Note that with these systems, the roller and/or the tire usually wear out after just a few hundred miles. So although they may seem cheap, they won’t last long, which means they are not usually cheap. 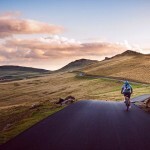 So my advice is to avoid friction motors – unless you plan to scarcely use the bike at all (and if this was the case, you probably would not be taking the trouble to read this). This entire post is excerpted from my book (below) that tells you everything you need to know to buy the best electric bike to fit your own unique needs. 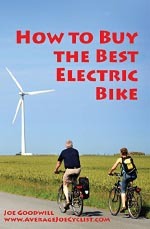 It includes reviews of many of the best electric bikes.